You’re waiting for the show to start. The lights go down. The crowd cheers, roars and rumbles. Ripples of excitement flow through you. The music begins. Post a tweet to your friends on Twitter? Do you post a quick photo or update to Facebook? Do you get your phone ready to capture a clip to upload to YouTube after the show? Did you already check-in to Foursquare? How you answer those questions is very important to celebrating, remembering and sharing your concert experiences. And after talking with the creators of social sites for concert fans, like Big Live and Recreate My Night, I’m excited to share with you the latest Live Fix Reader Poll that will explore how we use social media sites during our favorite concerts. I’ll get things started by asking a question and then your votes/answers become the front and center focus of the discussion. Then, depending on your answers and interest in the topic, we’ll explore that topic further by asking more questions and, if you like, we’ll even ask an expert guest to guide us. 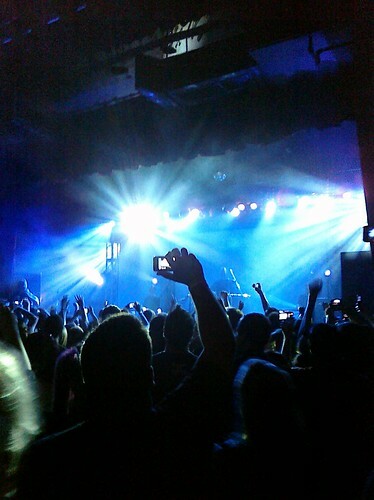 When it comes to sharing your concert experiences, which social site is your favorite? Go to the right side bar and place your vote on the Poll Daddy Poll. And if you like, you can use the comments below to explain your vote. Thanks again for voting and I’m excited to see your responses!